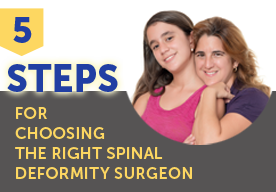 The landmark Scoli-RISK-1 study evaluating the neurologic complications associated with surgical correction of adult spinal deformity recently published its two-year results in The Journal of Bone and Joint Surgery (JBJS). Scoli-RISK-1 is an example of successful academic collaboration between two leading societies—the Scoliosis Research Society (SRS) and AOSpine. “Even for someone who has practiced spinal deformity surgery for 27 years, one of the biggest fears is that the patient has neurologic complications during these complex operations,” principal investigator (PI) Lawrence Lenke explains. Co-PI Michael Fehlings agrees that even with the many advances in adult spinal deformity (ASD) techniques, the risk of peri-operative injury remains high. For the first time, the prospective multicenter observational study Scoli-RISK-1 did a formal neurologic assessment of patients undergoing complex ASD surgery. The 15 participating clinics from North America, Europe, and Asia collected information on all complications and patient reported outcomes from 272 patients. Data was collected before surgery and at various timepoints after surgery up to 2-year postoperative. The Scoli-RISK-1 6-month outcomes were published in Spine in 2016 and established an early complication rate two to three times higher than previously reported. “One in four patients had neurologic deficits at the point of discharge, and the non-neurologic rate was at 60 %,” says Kenneth Cheung, site investigator. The 2-year outcomes recently published in the JBJS showed a significant improvement in neurologic outcomes at 2-years postoperative; more than half the patients having improved their neurologic weakness or deficits. “The rate in neurologic decline was much higher than expected, which gives us a baseline to work off to lower the rate of complications,” Lenke states. Site investigators believe surgeons can already better inform their patients of the risks. Risk factors for postoperative neurologic decline and factors that predict patient reported outcomes were also identified and published in The Spine Journal and Spine Deformity, respectively. “If surgeons can identify the individuals that are prone to developing complications, we can take preventative measures preoperatively. This will not only save on health costs, but with proper counselling, increase patient satisfaction,” Fehlings adds. The data can be used for risk stratification or to strategize how to reduce complications. Lenke and Fehlings are proud to describe Scoli-RISK-1 as a landmark and collaborative study that will be referred to as one that changed practice. “It is one of the most detailed, well-orchestrated, and thorough studies ever done on ASD for complications and outcomes,” Lenke says and adds AOCID’s expertise was instrumental for its success. This will save on health costs and increase patient satisfaction. The next step is to develop care pathways and guidelines. The clinical trial collaboration between AOSpine and SRS exceeded all expectations. “The AO has a high integrity scientific process for collecting this kind of data and translating it into meaningful outcomes. Both the data we acquired and the AO tracking and processing it, helping us present and publish it, it is a class act, it’s like a well-oiled machine,” Lawrence Lenke says. Kwan KYH, Bow C, Samartzis D, Lenke L, Shaffrey C, Carreon L, Dahl B, Fehlings M, Ames C, Boachie-Adjei O, Dekutoski M, Kebaish K, Lewis S, Matsuyama Y, Mehdian H, Pellise F, Qiu Y, Schwab F, Cheung K. Non-neurologic adverse events after complex adult spinal deformity surgery: results from the prospective, multicenter Scoli-RISK-1 study. European Spine Journal, 2018 [under revision]. Tuchman A, Lenke LG, Cerpa M, Fehlings MG, Lewis SJ, Shaffrey CI, Cheung KMC, Carreon LY, Dekutoski MB, Schwab FJ, Boachie-Adjei O, Kebaish K, Ames CP, Qiu Y, Matsuyama Y, Dahl BT, Mehdian H, Pellise F, Berven SH. Unilateral vs. Bilateral Lower Extremity Motor Deficit Following Complex Adult Spinal Deformity Surgery: Is there a Difference in Recovery Up to 2 Year F/U? Spine J, 2018. Fehlings MG, Kato S, Lenke LG, Nakashima H, Nagoshi N, Shaffrey CI, Cheung KMC, Carreon L, Dekutoski MB, Schwab FJ, Boachie-Adjei O, Kebaish KM, Ames CP, Qiu Y, Matsuyama Y, Dahl BT, Mehdian H, Pellise-Urquiza F, Lewis SJ, Berven SH. Incidence and risk factors of postoperative neurologic decline after complex adult spinal deformity surgery: results of the Scoli-RISK 1 study. Spine J, 2018. Lenke LG, Shaffrey CI, Carreon LY, Cheung KMC, Dahl BT, Fehlings MG, Ames CP, Boachie-Adjei O, Dekutoski MB, Kebaish KM, Lewis SJ, Matsuyama Y, Mehdian H, Pellise F, Qiu Y, Schwab FJ, International A, Group SS-R-S. Lower Extremity Motor Function Following Complex Adult Spinal Deformity Surgery: Two-Year Follow-up in the Scoli-RISK 1 Prospective, Multicenter, International Study. J Bone Joint Surg Am 100(8): 656-665, 2018. Miller EK, Lenke LG, Neuman BJ, Sciubba DM, Kebaish KM, Smith JS, Qiu Y, Dahl BT, Pellise F, Matsuyama Y, Carreon LY, Fehlings MG, Cheung KM, Lewis S, Dekutoski MB, Schwab FJ, Boachie-Adjei O, Mehdian H, Bess S, Shaffrey CI, Ames CP, Aospine Knowledge Forum Deformity TISSG. External Validation of the Adult Spinal Deformity (ASD) Frailty Index (ASD-FI) in the Scoli-RISK 1 Patient Database. Spine (Phila Pa 1976), 2018. Carreon LY, Glassman SD, Shaffrey CI, Fehlings MG, Dahl B, Ames CP, Matsuyama Y, Qiu Y, Mehdian H, Cheung KM, Schwab FJ, Pellise F, Kebaish KM, Lenke LG. Predictors of Health-Related Quality-of-Life After Complex Adult Spinal Deformity Surgery: A Scoli-RISK 1 Secondary Analysis. Spine Deform 5(2): 139-144, 2017. Kato S, Fehlings MG, Lewis SJ, Lenke LG, Shaffrey CI, Cheung KMC, Carreon L, Dekutoski MB, Schwab FJ, Boachie-Adjei O, Kebaish KM, Ames CP, Qiu Y, Matsuyama Y, Dahl BT, Mehdian H, Pellise F, Berven SH. An Analysis of the Incidence and Outcomes of Major vs. Minor Neurological Decline after Complex Adult Spinal Deformity Surgery: A Sub-analysis of Scoli-RISK 1 Study. Spine (Phila Pa 1976), 2017. Kelly MP, Lenke LG, Godzik J, Pellise F, Shaffrey CI, Smith JS, Lewis SJ, Ames CP, Carreon LY, Fehlings MG, Schwab F, Shimer AL. Retrospective analysis underestimates neurological deficits in complex spinal deformity surgery: a Scoli-RISK 1 Study. J Neurosurg Spine 27(1): 68-73, 2017. Lenke LG, Fehlings MG, Shaffrey CI, Cheung KM, Carreon L, Dekutoski MB, Schwab FJ, Boachie-Adjei O, Kebaish KM, Ames CP, Qiu Y, Matsuyama Y, Dahl BT, Mehdian H, Pellise-Urquiza F, Lewis SJ, Berven SH. Neurologic outcomes of complex adult spinal deformity surgery: results of the prospective, multicenter Scoli-Risk 1 study. Spine (Phila Pa 1976) 41(3): 204-212, 2016.